The conduct of the Common Law Admission Test (CLAT) having been marred with technical snags and malfunctions ever since its inception, the Supreme Court on Wednesday expressed its inclination to entrust the National Testing Agency (NTA) with the responsibility to hold the examination. The bench headed by Justice S. A. Bobde was hearing a PIL by academician Shamnad Basheer seeking the setting up of a permanent body to hold the CLAT. 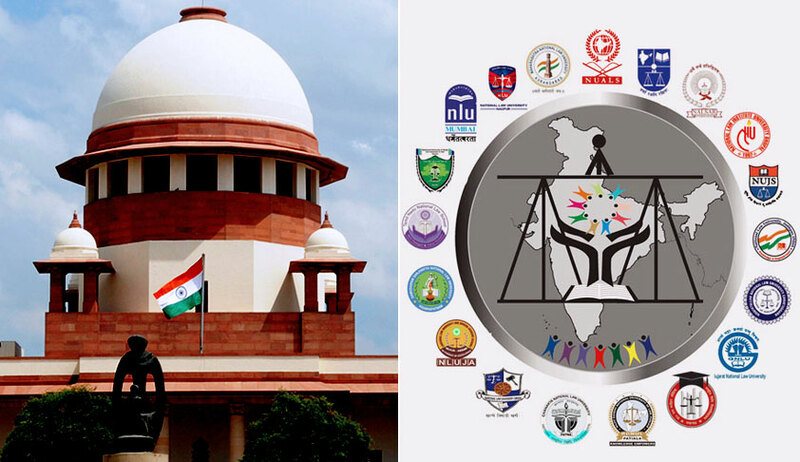 At the previous hearing on October 30, the decision of the Consortium of National Law Universities for CLAT-2019 to be conducted offline and for a permanent CLAT secretariat to function all year long was communicated to the Supreme Court. On the last occasion, the Ministry of Human Resource Development (MHRD) had submitted its report on the conduct of CLAT-2018, which has been in news for being marred by innumerable snags and malfunctions. Despite the report having been filed in sealed cover, The bench directed a copy of the same to be served on the concerned parties. On Wednesday, Senior Counsel P. S. Narasimha, representing the consortium, further elaborated that the permanent body would consist of the top management of all NLUs to which admissions are governed by the CLAT, and that three of the oldest law schools shall comprise the executive committee of the body. Opposing this proposal, Advocates Gopal Sankaranarayanan and Zoheb Hossain, appearing on behalf of the petitioner, argued that this permanent body is no different in its composition from those who have been far from satisfactory in conducting the national-level entrance test over the past decade. That this amount was applied towards utilities, infrastructure and other facilities and not misappropriated by officials, was the claim of Mr. Narasimha. Posting the matter for after four weeks, the bench allowed the MHRD to invite the interested parties including the NTA and the Bar Council of India for deliberations and submit a report of its suggestions. The bench also urged the Consortium to extend assistance.